New Delhi : • Most commuters in Gurugram faced the heat of 19-hour and 25 km long traffic jam on Gurugram roads. • The jam was a result of heavy rains that lashed the national capital and adjoining cities, including Gurugram, Faridabad and Noida. • The condition remained as worse as many commuters left home at night and reached home in the morning. 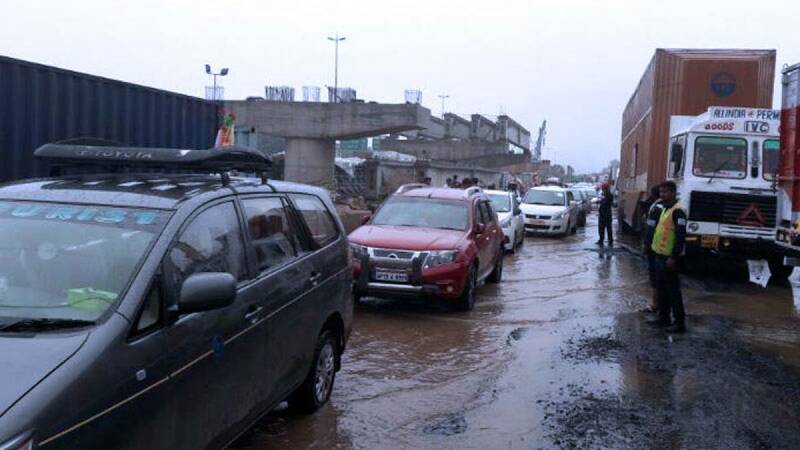 • Vehicles came to a halt post heavy rains on Thursday late afternoon nearly 4:00 PM, water logging was cleared for moment only by 11 AM next day. The normalcy came during late evening on Friday. • Many people shared pictures and dull road situation on social media. However, leaders started blame game to increase vote count on emotional front.